But Latvala took 13.9s out of Paddon in that first stage of the loop alone, and that put him in position to inherit the lead on the next test. Tanak was caught out by a tightening right-hander which hindered multiple crews. However he got deep into the undergrowth half-way through the corner, and had to reverse to get back out onto the road. 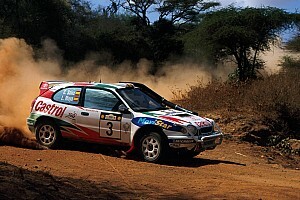 He lost his 12.6s lead and trails Latvala by five seconds at the end of the morning's running. Paddon went quickest on SS20 Sapphire in his i20 WRC, and trails Tanak by 14.6s at the end of the morning’s action. 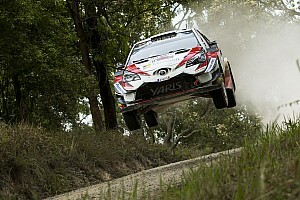 If Toyota wants to switch its drivers, it must be careful to have time in hand, as Paddon is within striking distance. 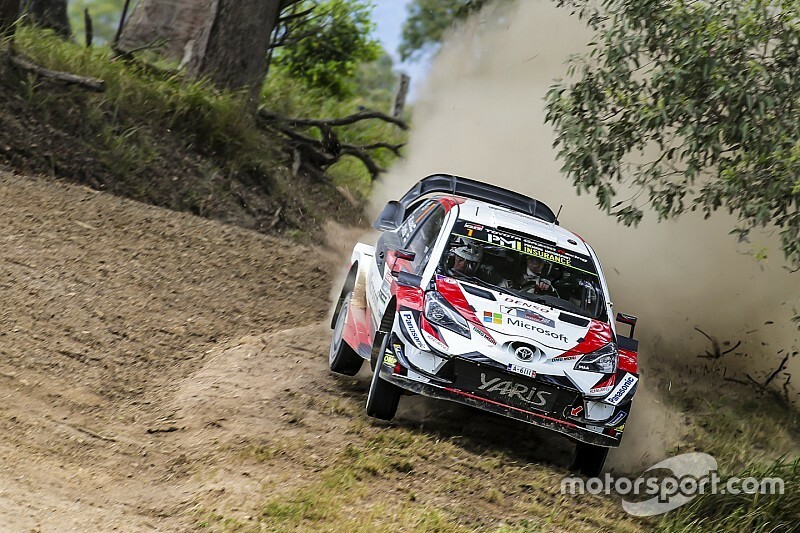 Toyota are leading the manufacturers standings and don’t want to hand any points to Hyundai and Paddon. 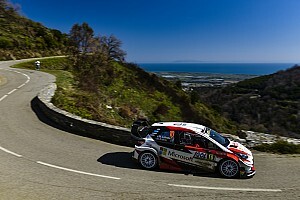 Citroen’s Mads Ostberg moved further clear of Esapekka Lappi’s Toyota to hold fourth ahead of the Finn. Ostberg’s Citroen is 28s behind Paddon, and 10.5s clear of Lappi – who set a fastest time on SS21 to end the morning. Sebastien Ogier is sitting in an all important sixth place. As long as he stays there, whatever Tanak does will not be enough to rob the Frenchman of a sixth world title. 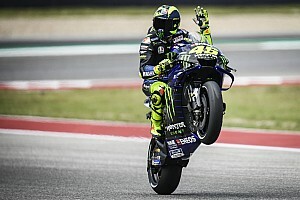 He managed to avoid many of the tricky areas that caught out others and was sixth, seventh and seventh fastest respectively over the three stages. He is 21.6s ahead of Elfyn Evans and – crucially – 39.2s ahead of Thierry Neuville. As long as Ogier remains in sixth and ahead of Neuville, he will take the title. Neuville had a difficult morning. On the first stage of the loop – SS19 Coramba – he took nine seconds out of Elfyn Evans ahead of him, despite sliding wide into a bank. After clipping an unsighted tree trunk on the last stage of the loop, SS21 Wedding Bells, his car began to gush oil and he was attempting to repair the car on the road section.